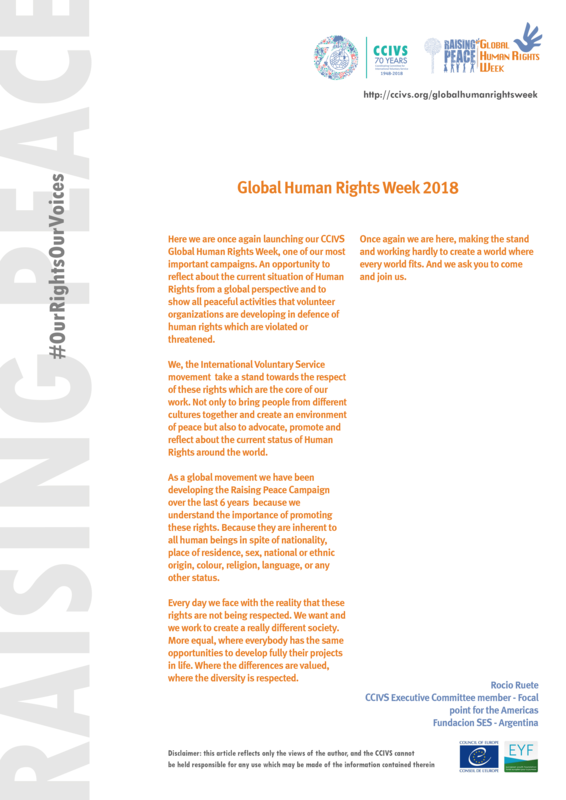 The Global Human Rights Week is a global networking event coordinated by CCIVS in the framework of the Raising Peace Campaign and supported by the Council of Europe and the European Youth Foundation. Its main task is to provide visibility to the challenges related to Peace and Human Rights worldwide, focusing on the actions implemented by the IVS movement on these specific topics. These initiatives share common goals: to cast a spotlight on the current situations of Human Rights, to encourage grassroots activism and to promote social change. 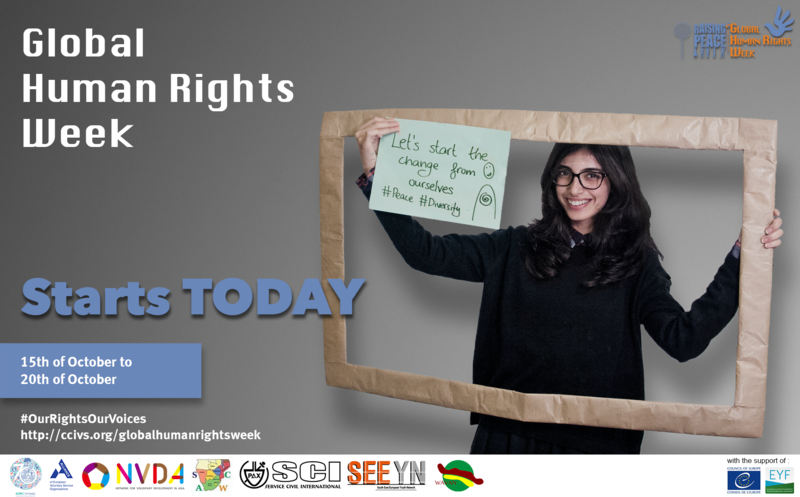 To do this, we need your contribution: if you are an organisation, a social movement, an activist, a volunteer, join the Global Human Rights Week! Thanks to the big efforts of the networks, the activists involved in the coordination and the external contributions received, the GHRW gained a global dimension and could deliver a strong message to a vast audience.